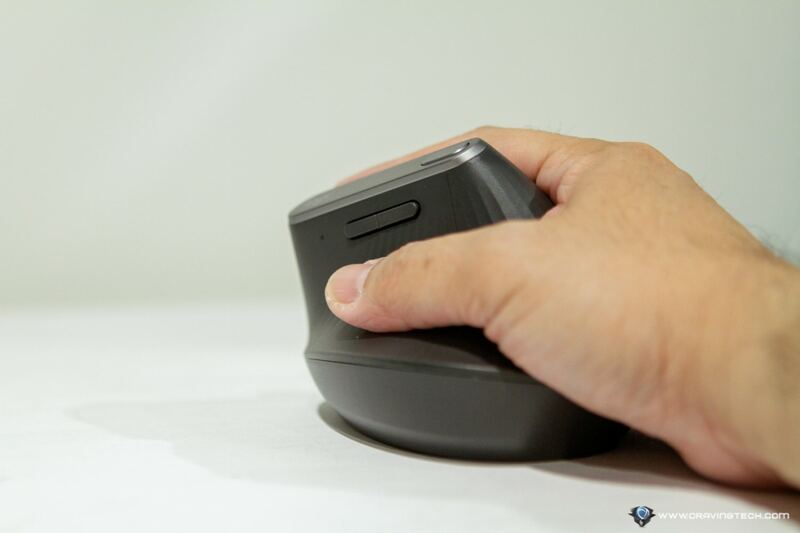 Logitech MX Vertical Ergonomic Mouse Review – I’m getting old and all these mouse swiping & clicking has finally caught up with me. If I don’t stretch my arms and fingers every now and then, I’d get all sort of things – golfer’s elbow, tennis elbow, and finger pain while scrolling with the middle mouse button. I’ve been using the Microsoft Sculpt Ergonomic Mouse at work but this Logitech MX Vertical Mouse is far way better in many ways. It’s more comfortable to hold, lighter, and scrolling is so much softer on my finger. 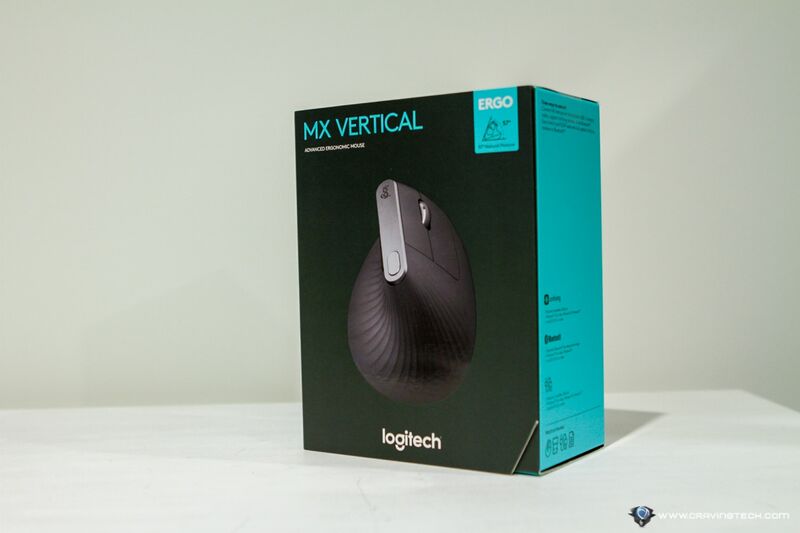 To some, the looks of the Logitech MX Vertical is kind of shocking. 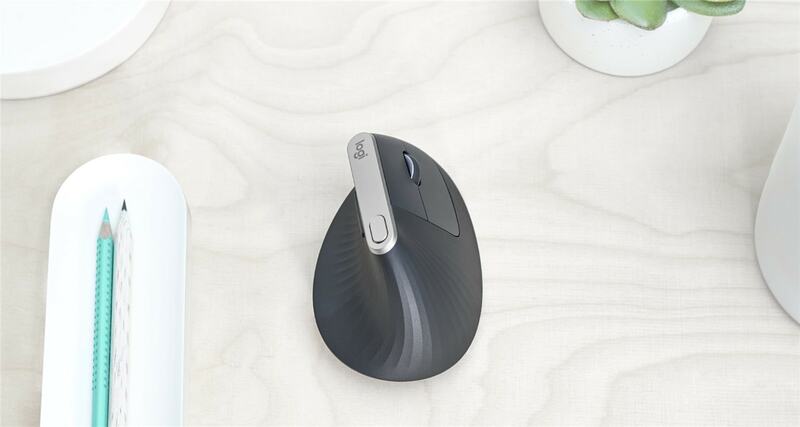 You might think: Who would use a weird-shaped mouse like that? 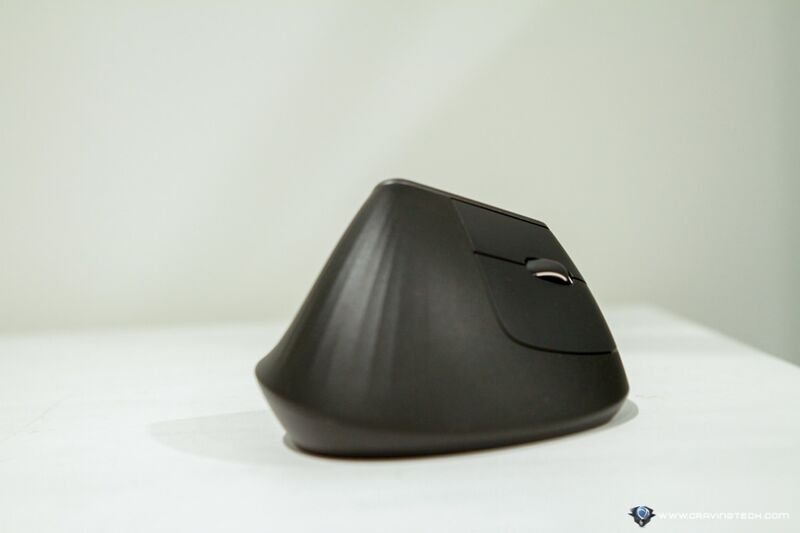 Well if you are still a teenager or at your early 20s, then you might not be able to appreciate the design or why you’d even bother using an ergonomic mouse. But that doesn’t mean you shouldn’t care – RSI (Repetitive Strain Injury) prevention is always better before it’s too late. There’s definitely a valid reason for the 57-degree vertical angle mouse design. 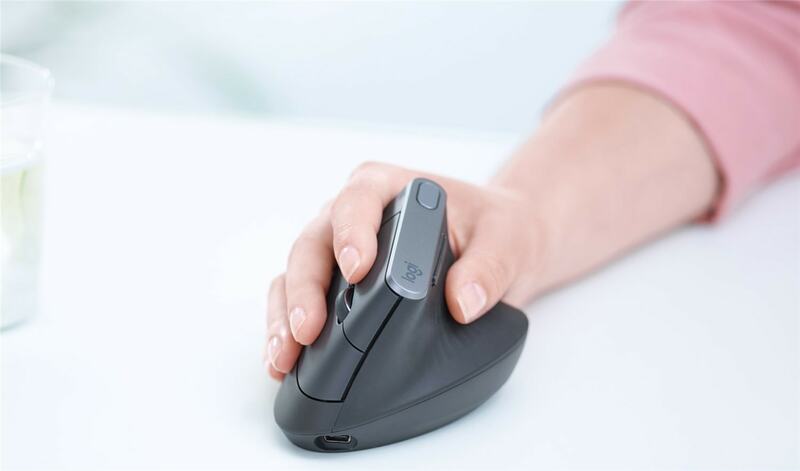 This is to reduce the pressure on your wrist and to my experience, the muscle strain on my right arm too because we usually twist our arm in an angle while using a mouse. According to Logitech (and ergonomics experts), having a natural handshake position reduces muscular strain by 10 percent and I can definitely confirm it. It’s the most comfortable mouse I’ve ever used so far. The mouse went through numerous testing and prototypes to finally reach that perfect angle and shape. Yet, the mouse still feels natural to hold and use (unlike the Logitech MX ERGO mouse with a trackball, which is quite a niche mouse dedicated only to trackball users). 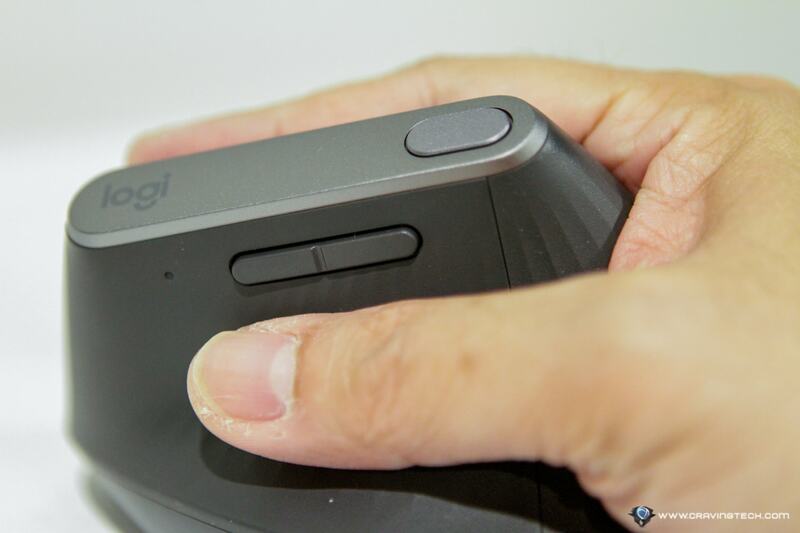 Logitech MX Vertical is comfy to hold and it has a good, non-slippery, textured rubber surface thumb rest on the side. The rest of the surface has the same textured rubber as well, which I like as it doesn’t encourage sweat and I can maintain my grip on the mouse without effort. And as I mentioned earlier, scrolling is seamless and my finger doesn’t feel much pain when scrolling up and down frequently – even when it has scrolling steps. It weighs 135 grams and while I’m used to game with a gaming mouse that weighs less than 100 grams like the Logitech G Pro Mouse, the MX Vertical doesn’t feel heavy at all. 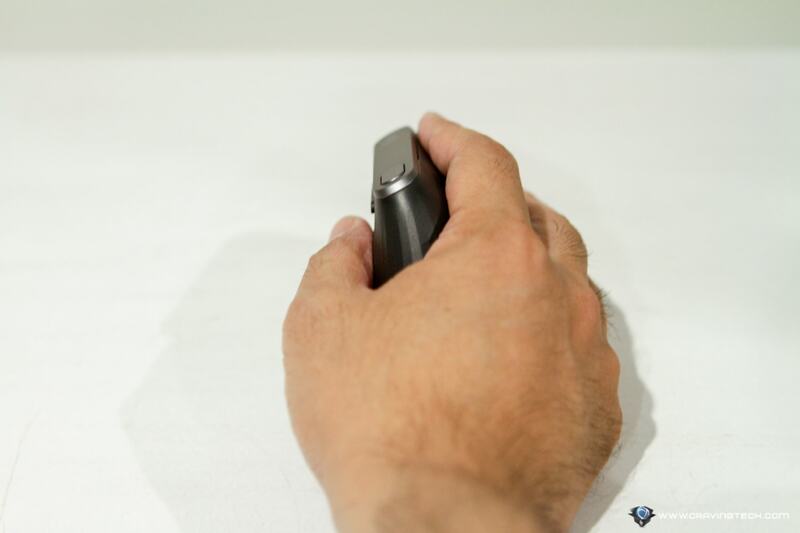 In fact, it feels very light (even lighter than the Microsoft Sculpt mouse) and glides with ease. 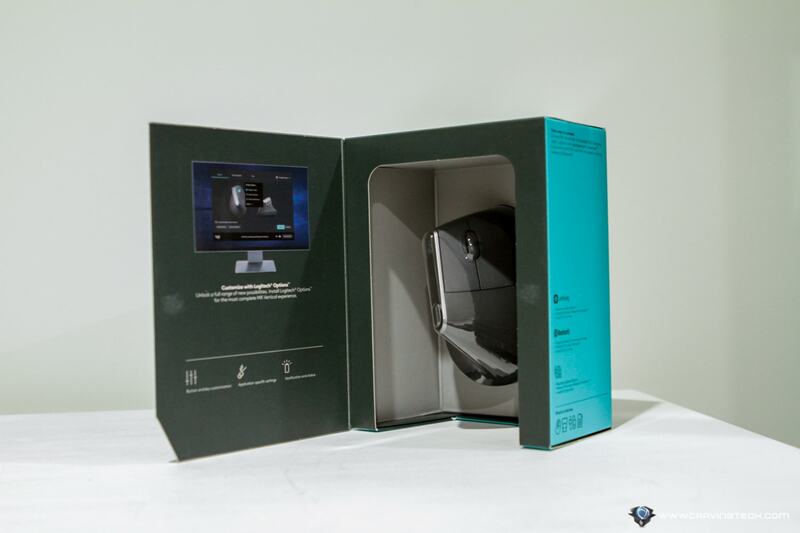 In my opinion, these reasons are already good enough for you to grab the Logitech MX Vertical mouse but of course, Logitech doesn’t stop there. The mouse is rechargeable with a USB-C quick charge (cable included), giving the mouse 3 hours of use from a one minute quick charge. A full charge gives the mouse around four months of use. There’s a “Cursor Speed Switch” located at the top of the mouse, which is a DPI switcher in a nutshell – to quickly change your mouse sensitivity from one to another. 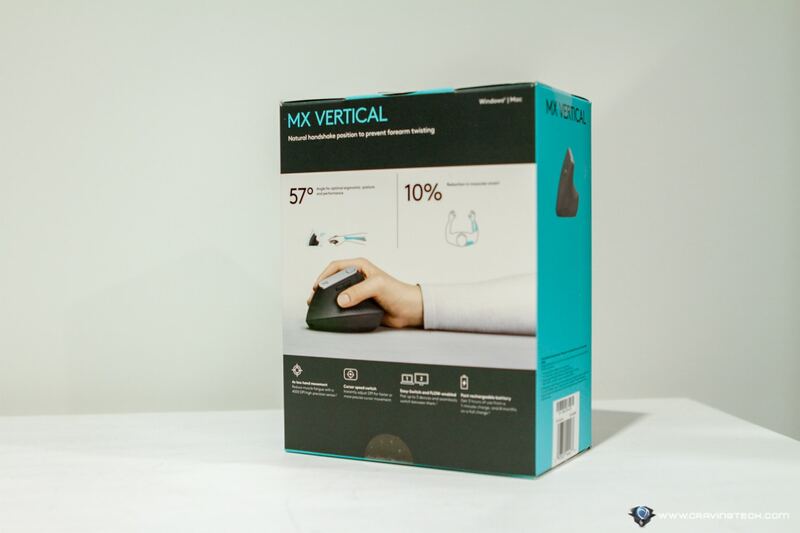 And like many other recent Logitech peripherals, the MX Vertical also supports Logitech Flow so you can switch from one connected device to another instantly (up to three devices). This is very useful if you want to switch between your MacBook/Laptop and a Desktop, for example. 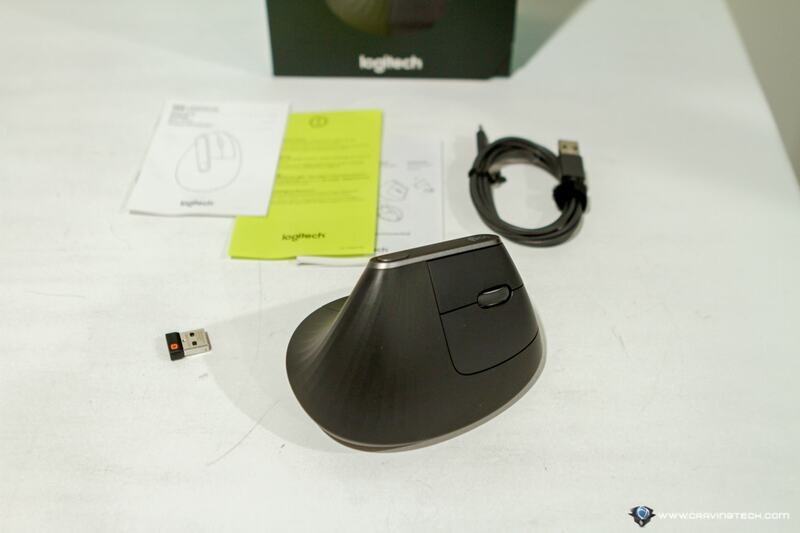 Logitech MX Vertical mouse is the most comfortable mouse I’ve ever used and its ergonomic design is very friendly. Despite of the looks, it’s really natural to hold and use the mouse and there’s pretty much zero adjustment needed. 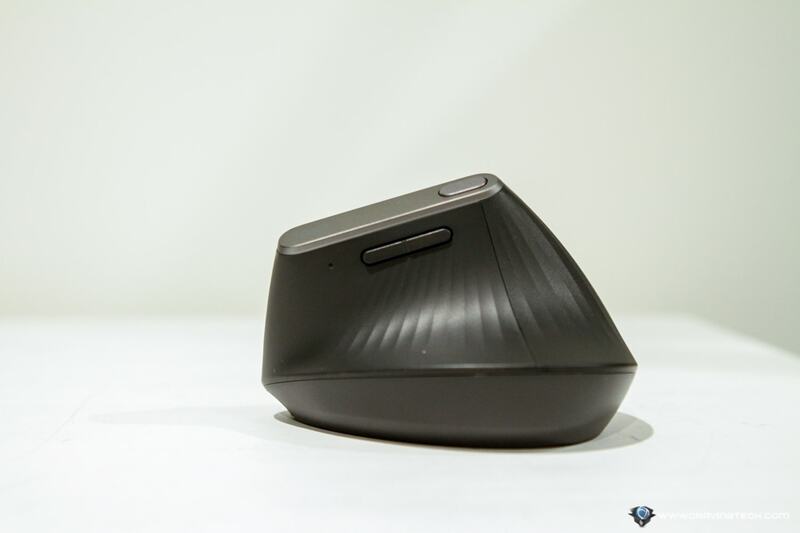 It has a modern design, a modern USB-C charging worthy to be found in a 2019 peripheral, and modern features like Logitech Flow. If you love your wrist and arm, then there is no reason for you not to grab the Logitech MX Vertical. It truly is the perfect mouse for work or regular desktop use, and your wrist + arm will thank you for many months to come.